The brand Chanel is a huge face for tweed and modern vintage. Even this Spring Summer 2019, the Chanel Spring Ready-to-Wear show featured tweed blazers, dresses, and coordinates which one wouldn't suspect is spring/summer appropriate. Nonetheless, Chanel never fails to make it tweed and boucle appropriate year round. Unfortunately, Chanel is a well known luxury brand with the price tag to match so I could not justify splurging hundreds to thousands of pounds on their garments. To my pleasant surprise, SheIn carries many tweed and boucle pieces at a far more affordable price. I was gifted this two-piece which is a beautiful coordinate. The price tag does enable most individuals to channel their inner Chanel with this glamorous two-piece. It does not appear cheap when worn and the fabric is lined to prevent snagging or lint on the inside. This two piece set does not have to be worn together. Thus, it is like two birds with one stone! I am more than happy to pair the skirt with an alternative top or the blazer with jeans for a casual and relaxed appearance. You will stand out. Given that tweed is a very marmite fabric, you either love it or hate it, a lot of people on the streets will stare. It is a very niche outfit that certainly demonstrates a classic and elegant vibe. There are many loose threads. As a result, you may find yourself constantly picking them off or cutting them after just one use. The metallic trimming on the blazer will get caught in your skirt and cause more loose ends. Hence, I believe this product can only be dry cleaned in hopes to be long-lasting. The zippers on the skirt are not sturdy (or I just eat a lot) as I found them slowly unzipping whilst eating lunch. No one wants to be self-conscious when enjoying a meal! This is something to bear in mind as you cannot select a separate skirt and blazer size. 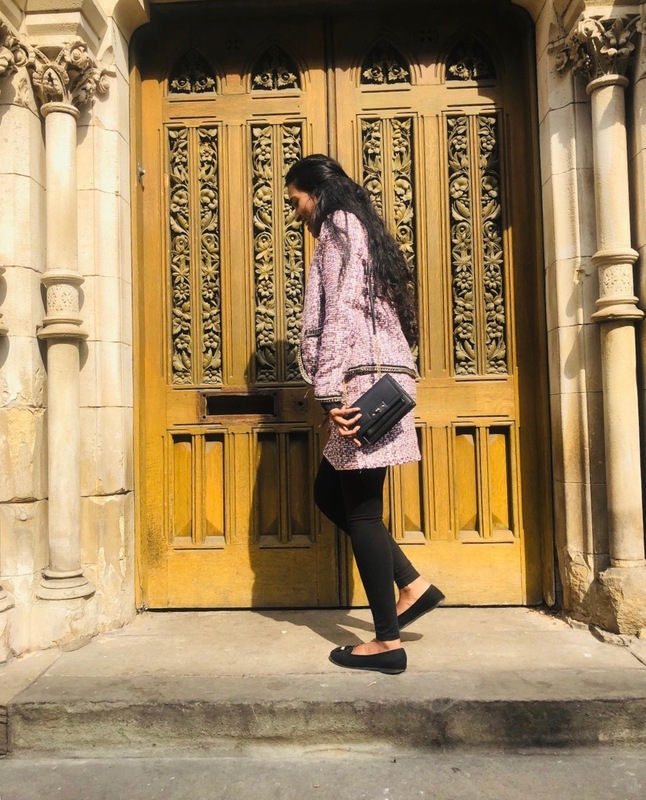 Overall, if you want to venture out into new fabrics and styles, I recommend checking out SheIn as they have a huge variety of tweed co-ords. On top of this, despite the quality not being on par, I do believe other boutiques or high street stores price Tweed or Boucle fabric at far higher costs. But with proper care, I am sure this two piece can last many wears. Regret. A type of sorrow that devours each living cell. Breathing is effortful, emptiness takes the cake, and one will rue relentlessly. The greatest pain is felt when one says: If only. Whether a minor or major situation, the ache will be of the same level regardless. Although duration differs, the intensity remains uniform. The power of this sensation is unconquerable. It is as though every inch of your skin is being torn away; amassing to slow and supreme throbbing. Someone is consistently kicking your stomach. The wind is knocked out of you and you’re gasping for air, relief and freedom. One’s mind is in shackles- unable to escape this whirlwind of emotions. Your heart crumbles into fine powder. Whole of nerves are swamped by numbness. The brightest of headlights cannot overcome the fogginess crowding your mind. 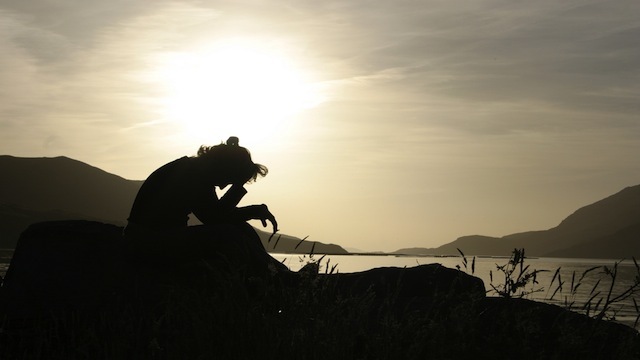 Contemplation ricochets back to repentance without exception. In the end, we only regret the chances we didn’t take. The delicacy of bliss is evident as remorse causes optimism to be forgotten. Like a light bulb to a mouse trap, it’s shattered in seconds. Opportunities disappear instantaneously. Joy quickly becomes hurt; pulling at each individual heartstring. Worst of all, this can happen knowingly or unknowingly. Before the flood of distress, one may mindlessly believe everything will fall into place. However, the feeling changes. All belief is crushed. This will kill like a knife through your being. One may even begin to question their purpose as two words keep ringing through the wavelength of thoughts. When do we feel regret? It can be due to a variety of reasons: not studying for exams, giving up on a dream, or letting go of a loved one. Amongst these circumstances, one supposes that the solution provides the best consequence. We are preached to live in the moment but the message to follow one’s heart has vanished. Sometimes we must think of the future. Logic, rationality and judgment won’t ease a bleeding soul. A minute of peace cannot substitute lifelong craving for what is now lost. It could’ve been in your reach. Don’t be blindsided. Don’t be rash. Don’t put yourself in a situation where grieving is inevitable. The possibility of harmony can slip through cracks far too easily. Regret can break any ounce of delight. For said reason, live freely. Wear your heart on your sleeve and allow life to trample you. It is far less excruciating in the long run. Be accepting. Permit enlightenment through whatever mechanism. Go to bed, laughing to yourself, thinking, ‘I shouldn’t have,’ rather than ‘if only’. 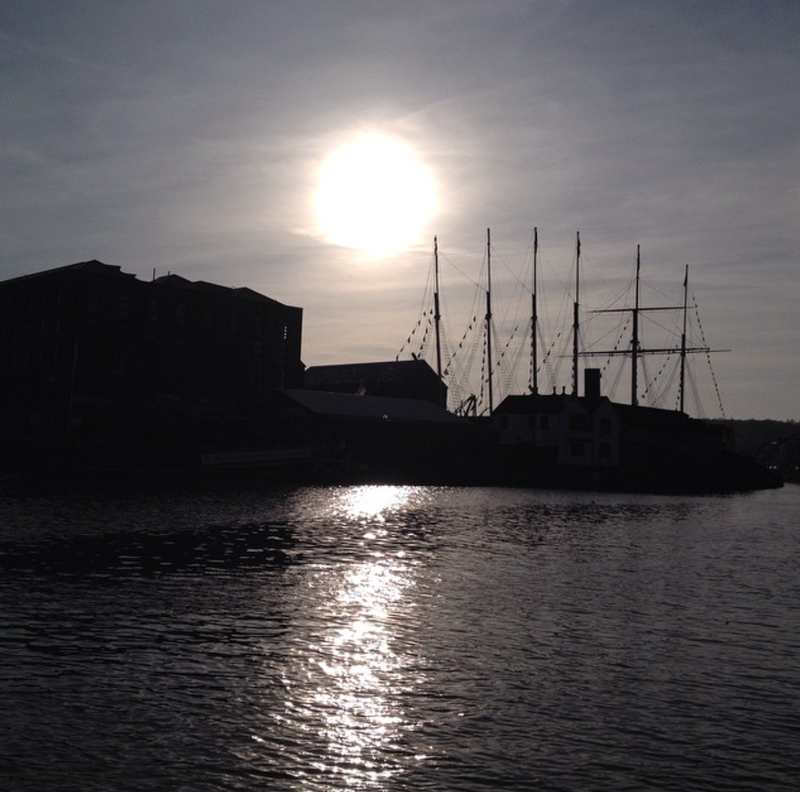 March was a busy month academically as it involved formative examinations, presentations, and extra curricular work which explains the lack of blogposts. However, there were many highs such as the Ball and one of my good friend's birthday. On top of that, we can finally welcome Spring with open arms! Favourite Memory. One of my favourite memories is going to a Ball that was hosted at my university. 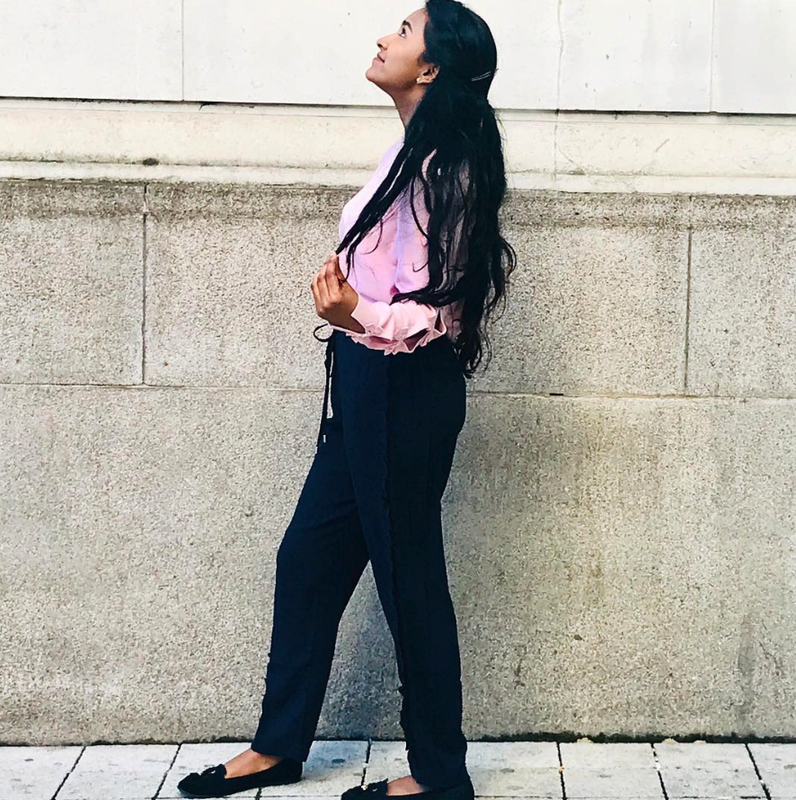 I made a whole post about my outfit here which you can check out if you are looking for online boutiques that sell traditional South Asian wear. A prime reason I am classifying that as my favourite memory this month is because I was going on my own accord. I wasn't going to know many individuals there so it definitely took some courage and confidence. Never have I attended an event without knowing anyone but I must say it was a liberating experience and I gained three beautiful new friends and got closer to acquittances. On top of that, I got to see a magician live and that was phenomenal. What I used. My favourite product this month is actually a set of false eyelashes by Pur in the style 'Flirt'. This was the first time I've ever attempted falsies as I feared getting glue in my eye or losing all my lashes in the process. Nonetheless, despite it taking 20-30 minutes, these lashes looked amazing and completes a glam look without fail. Pur is a vegan eyelash brand that produces their eyelashes through the use of silk. Thus, the quality is hard to beat and each one can be re-used up to 30 times. What I watched. Recently, I watched the movie Kesari starring Akshay Kumar which depicts the historical Battle of Saragarhi which involved 21 Sikh Soldiers of the 36th Sikhs who were under attack by 6,000-10,000 Afghans. Akshay Kumar portrays Havildar Ishar Singh in an impressive manner. The first half of the movie is light hearted with comedic relief, but after the intermission you will be gripping your chair and wiping tears. I highly recommend reading about the history of the battle prior to watching the movie to truly appreciate the tale. Who I loved. One of my favourite YouTubers has always been, without fail, Kristin Johns. Not only do I love her aesthetic and adoration for plants, but her gentle nudges to God and pious personality leaves every video very wholesome. What I wore. There are two new pieces to my wardrobe that I have worn every week without fail (don't worry - they're clean!). 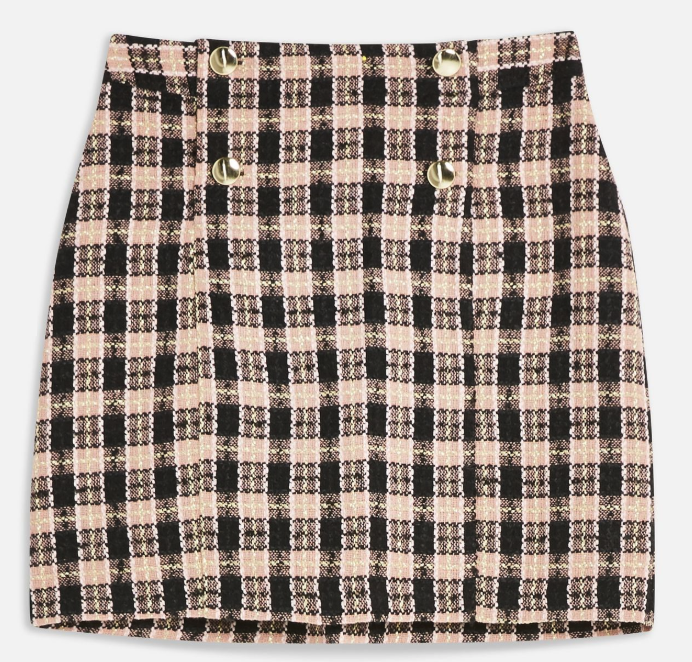 First includes my TopShop Boucle Skirt which screams elegance and fun. 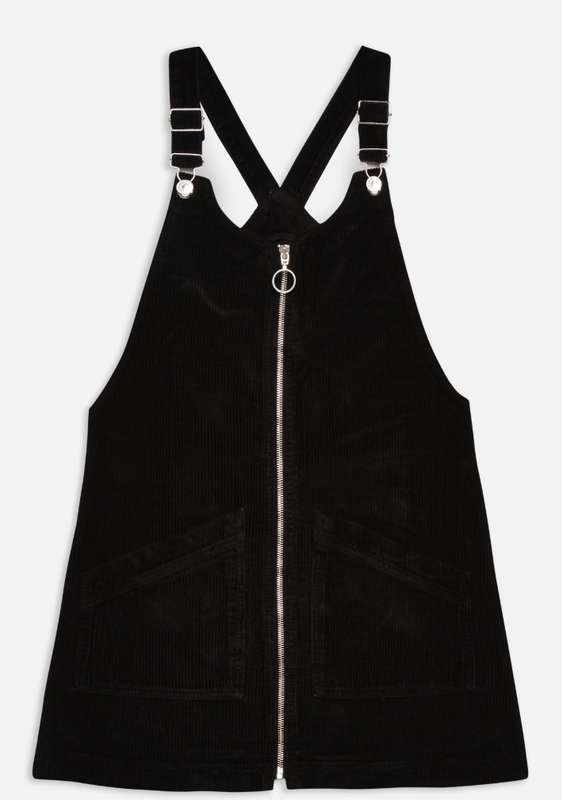 Secondly, my TopShop Pinafore dress has been the perfect addition to my wardrobe. I can pair it with anything to achieve a sweet, fun, and beautiful look. It has been great at baring colder weather by acting as a layering piece. What I ate. Unfortunately, I do not have a visual aid but turmeric flapjacks. I am not sure of a recipe but my university sells delicious vegan and gluten free turmeric flapjacks that my friends and I were hesitant to try until the last few weeks of term. Nevertheless, it is divine and I couldn't recommend it enough. Another delicious delicacy is sweet potato burgers which I would've scoffed about before but it is quite delicious with spicy or burger sauce. What I drank. I have fallen back in love with Peach Ice Tea by Lipton. I know peach is not everyone's cup of tea (haha) but it certainly is my favourite. Pret a Manger do a lovely peach green tea which is refreshing and delightful. Where I went. This month involved a fun adventure around my own city. We tend to forget that there is acres to explore in our own neighbourhood. I took time out this month and went for a walk with a friend to a gorgeous canal. She kindly offered to film a mini dance routine of mine and I got to explore a side of the town I never seen before. All in all, those are my favourite memories this month. As I am currently not excessively buying new beauty products, it is difficult for me to do monthly favourites at this time. Nevertheless, I hope these posts do give you an insight to my life, interests, and potential things for you to explore. A camera cannot give justice to the beauty of a sunset- so how can it do the same for you? In this day and age, we are exposed to many methods of having our self esteem shattered. The era of the ‘selfie’ has done nothing but destruct confidence. We find ourselves seeking for approval in the depts of social media; learning about how to look prettier with makeup, how to lose weight fast, and which filter will flatter our image. Whilst Facebook stalking and scrolling on Instagram, individuals get lost in a sea of pictures which induces one to constantly compare themselves. And I am guilty as charged. The persona portrayed about a specific person is determined by looks. The number of likes received on a profile picture directly correlates to how much of a socialite they are. My insecurities soar through the roof when I see someone with over 100 likes. It’s a silent competition amongst each other: who’s prettier and who’s more popular. I’ve always feel I’m in the shadows of someone who is exceedingly better looking. This could be a stranger, my best friend or even my sister. Whether it be human nature or not, my mind goes astray and automatically asks, ‘Why them and not me?’. This is where we, as individuals, have flawed the system. We are taught from a young age to believe everyone is special; even ourselves. The uniqueness between two people is what makes each of them striking in alternative ways. How this message got lost over time baffles me. Looking in the mirror is a challenge in itself. Knowing that this is how you look, this who you are, is scary. You cannot change your features. And it is this concept that is hard to grasp. This fact can feel so disheartening because one has concluded that this is as good as it gets. It’s almost as though the concept of inner beauty has gone adrift. Personality is nothing if incased in what isn’t seen as picturesque to society. Throughout my life, I’ve encountered people who remind me of my ‘flaws’- using this knowledge as a weapon. I’ve been too short, my smile too hideous, my complexion too dark, my eyes too ominous, and my nose too crooked. Left right and center, I’ve had insults thrown in my direction. Family and friends constantly tell me to do this or that to transform; making me feel inadequate in my own body. One feels like a prisoner in their own skin but unable to escape its wrath. Staring at my reflection is a punishment. Nevertheless, inner beauty is all that matters. We’ve all met characters that do not match their mask. The words uttered are like daggers and venom and actions illustrate immoral intentions. All of the sudden, their charm vanishes. It slips away like sand through open fingers within seconds. Every glance in their direction is filled with repulse rather than envy. One no longer tries to equate themselves to that individual. Similarly, a being with a pure heart and an angelic soul will be the one that steals your heart. Even if the beauty one sees is a gradual escalation, the strength of it is incomparable. There is no empty judgment like that seen when the average person compares themselves to models in a magazine. Looks fade and shift. Appearances aren’t forever. That’s not to say that it’s a sin to put in the effort. It’s simply temporary adjustments that will help boost your confidence in particular situations. However, you cannot take it to the grave. It’s an individual’s good nature and wholesomeness that lasts. Their personality defines their appeal. Thus, eye-candy is not going to give you fulfillment. Whether you’re seeking for it in a person or trying to appear more beautiful yourself, one’s intentions is not in the right place. It’s how you make people feel that will increase your attractiveness. Your aura is what’s alluring. No other factors should be involved. Linking back to my previous post on love, it’s not looks that define true love. There is a fine line separating lust and love. The number of laughs shared, support given, and happy memories made is what signifies a beautiful individual. The ease at which one can be spoken to, the security and comfort provided, and openness is what demonstrates exquisiteness. Hence, it’s time to let go. Time to face the mirror and think to yourself, ‘I’m beautiful’. Time to amend your thinking that physical beauty is defining. You are more than your body. Focus on creating a magnificent soul for your own well-being. Chasing something superficial will lead to disappointment in the long run if the heart cannot live up to the standards. The right company will stay. The best companion will make you feel adoration in all its glory. One will go to sleep feeling beautiful and loved beyond words. That’s a promise. After all, God is the most amazing artist and He painted your picture.